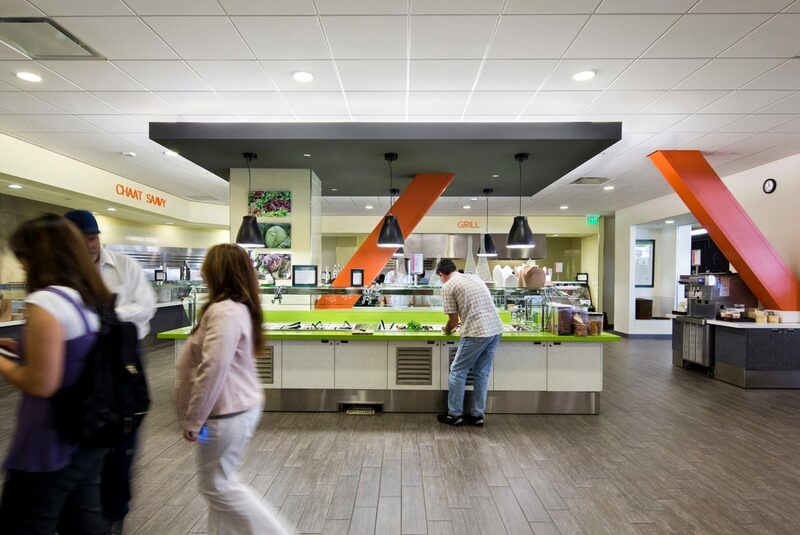 Sustainable solutions shape an R&D campus tailored for an engineering-driven company. Extra-flexible spaces support collaboration and rapid change. 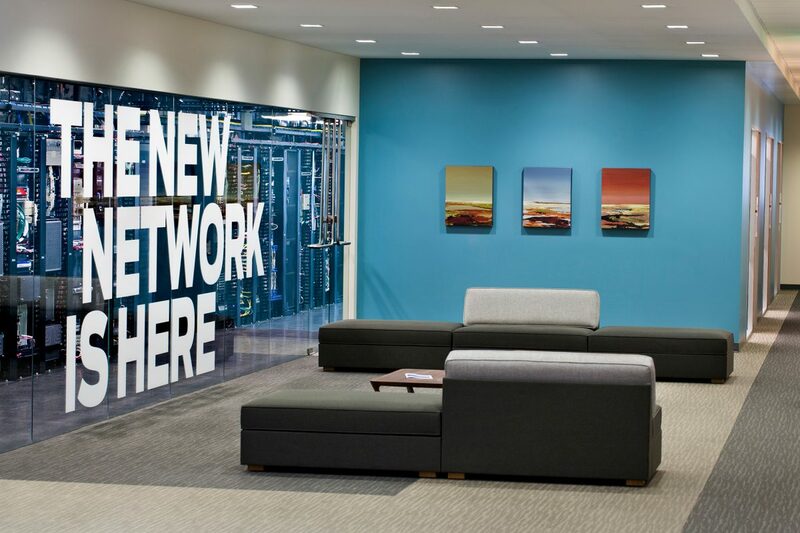 RMW has provided site selection, planning, programming, and design services for Juniper Networks, a provider of high-performance IP networking systems, since the company’s pre-IPO days. 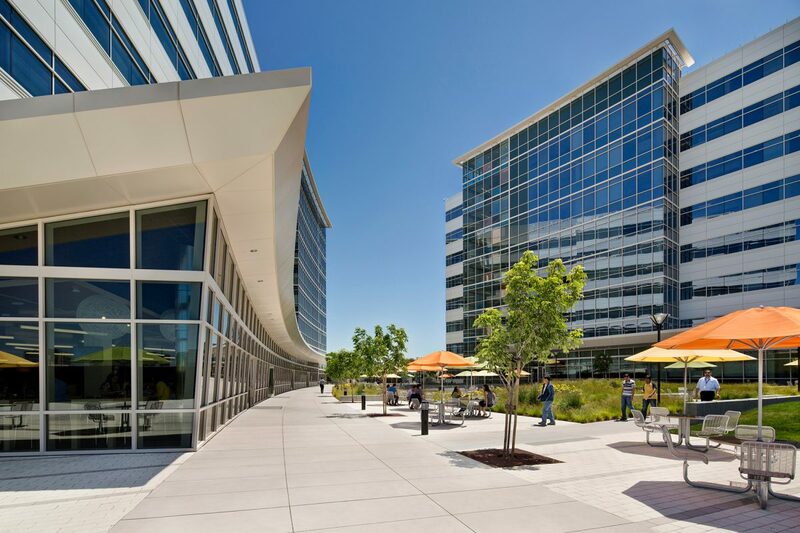 By 2010, with more than 9,000 employees worldwide, Juniper saw the need for a consolidated campus tailored to its way of working – a home base for the heart of its R&D culture in Silicon Valley. RMW’s design for the 80-acre, 2.3-million-square-foot campus includes eight office buildings, a 60,000-square-foot commons building, a conference center, four parking structures, and a 300-room hotel. The first two office buildings, A and B, completed construction in late 2012. 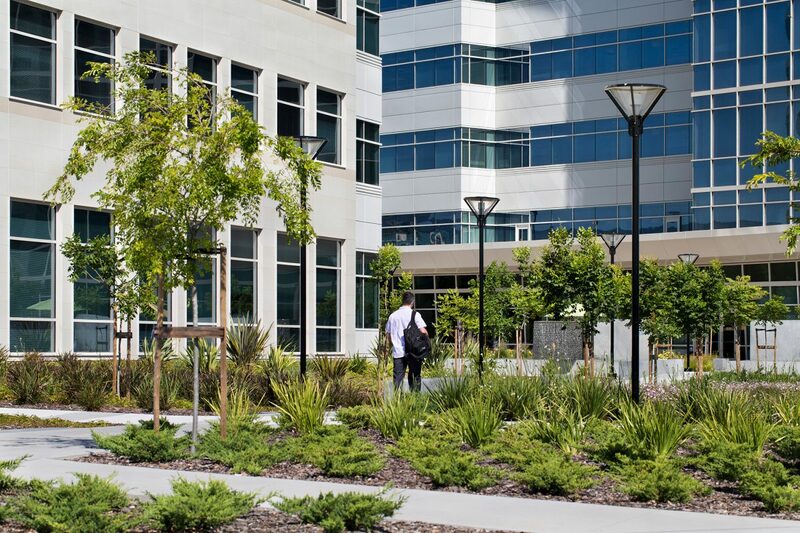 At eight stories and 318,000 square feet each, the buildings feature flared green roofs that encircle a large courtyard landscaped for assemblies and outdoor dining. Buildings A and B house offices, a two-story executive briefing center, the proof-of-concept lab, and two full-service cafeterias. 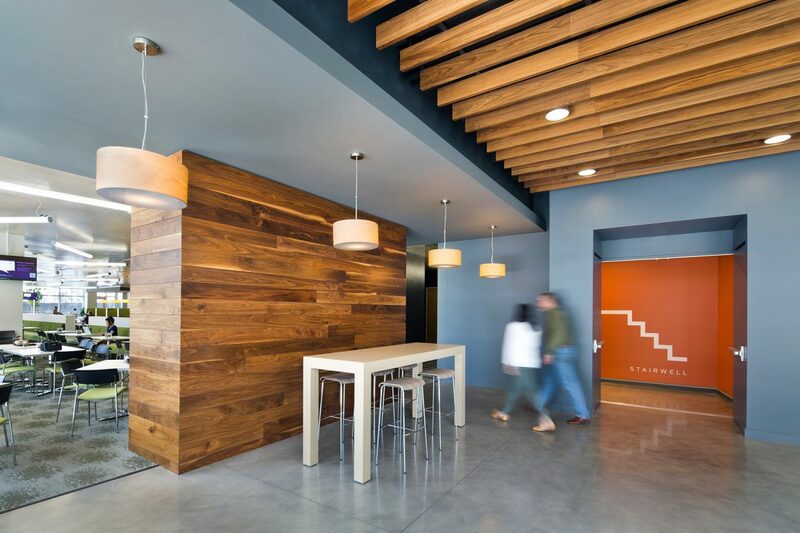 In carrying out the master plan strategy, RMW performed a complex workplace study that measured space utilization, corporate values, brand management, and employee expectations. Workspaces were optimized for all types of collaboration. 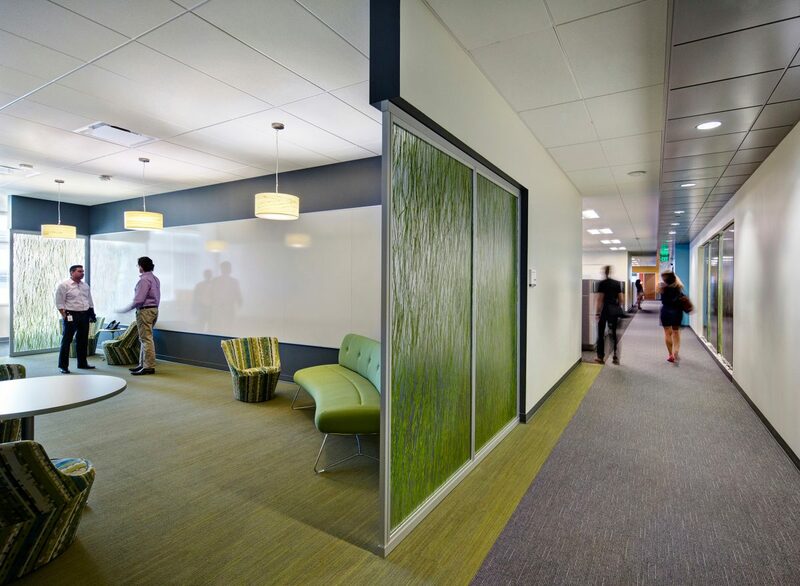 Flexible offices ebb and flow to serve as meeting rooms and video conference rooms as well as individual workspaces. The result is an environment designed to embrace continuous change and help the company respond with innovative products and solutions. 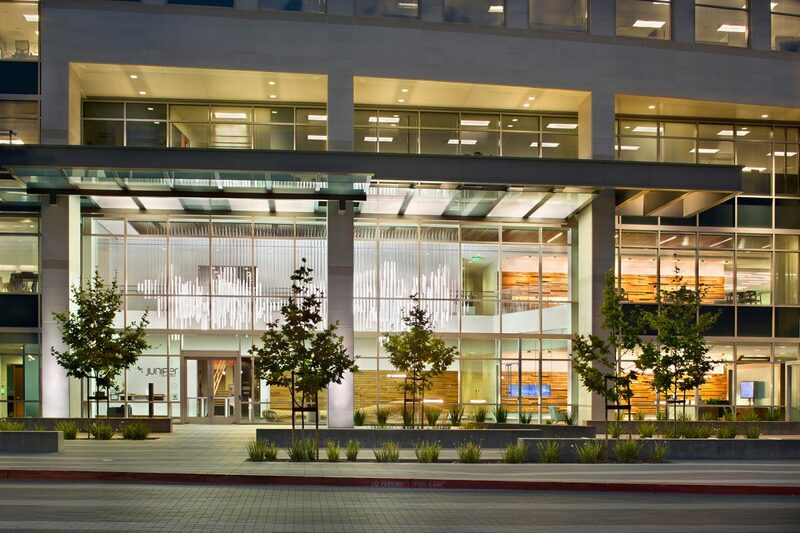 Building A achieved LEED Gold certification, and Building B achieved LEED Platinum. 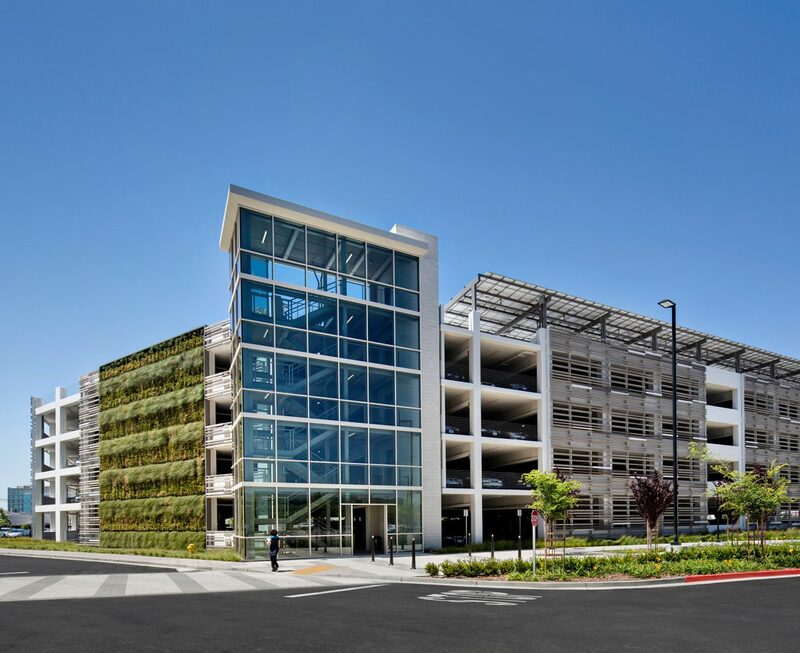 Energy savings was achieved through four Bloom Energy Server fuel cells, a solar hot water array, and a photovoltaic array over the parking structure. Six stories of vertical fins screen the mechanical louvers at the lab floors, allowing fresh air cooling of lab equipment. Each of Juniper’s Bloom Energy Server fuel cells provides 200kW of power, enough to meet the baseload needs of 160 average homes. 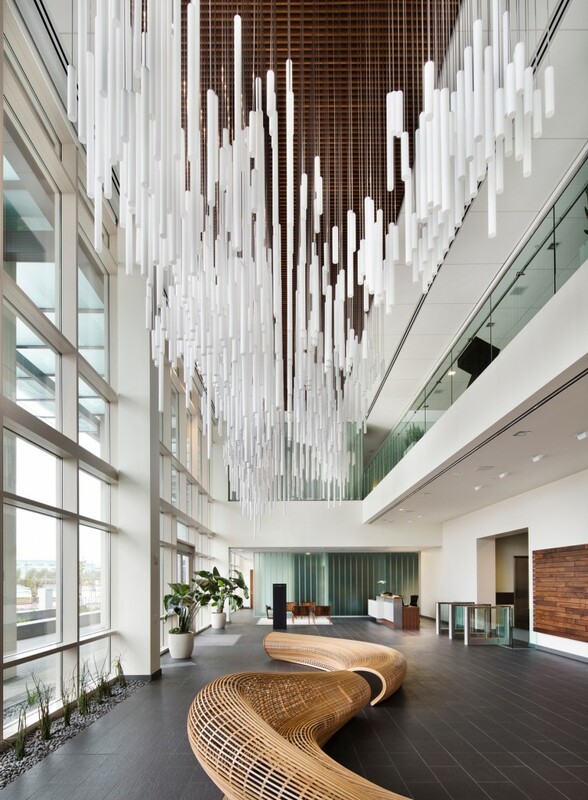 Award: Clad in 41,000 square feet of large-format porcelain tile adhered to lightweight concrete panels, the project won an Honorable Mention in the Ceramics of Italy Tile Design Competition, Commercial/Corporate Category, 2013. Award: Juniper Networks’ Executive Briefing Center was awarded the 2014 World Class Briefing Center Award by the Association of Briefing Program Managers. 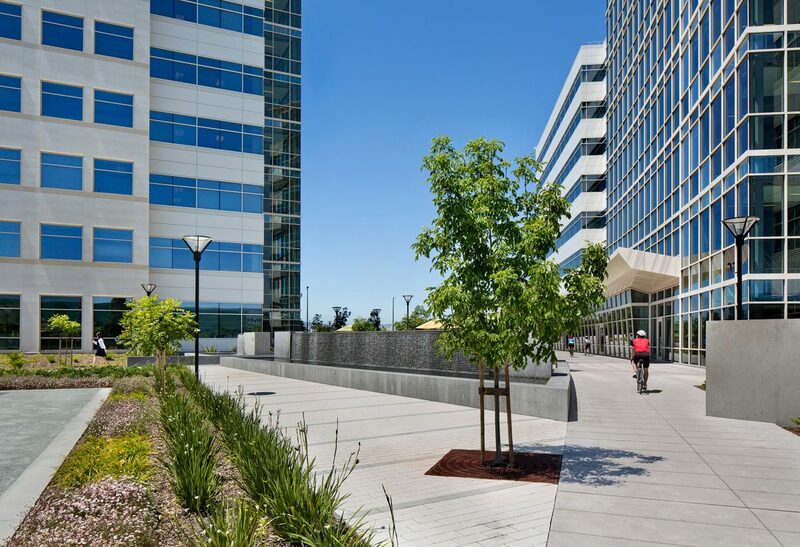 Award: The project won the 2013 Best Green Project/ Innovative Design, Silicon Valley Structures Awards, Silicon Valley Business Times.